Great doctor! He was smart, knew his stuff and was able to give good advice for maintaining a healthy and activelifestyle. He was respectful, took time to understand my issue and concerns and then gave his guidance on what to do to ensure good health. I would definitely recommend him to family and friends. Great doctor! He was smart, knew his stuff and was able to give good advice for maintaining a healthy and active lifestyle. He was respectful, took time to understand my issueand concerns and then gave his guidance on what to do to ensure good health. I would definitely recommend him to family and friends. 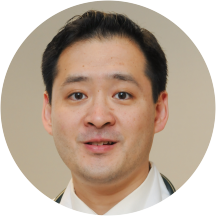 Dr. Andrew Wong is a diligent and considerate internist serving for the community of Greenwich, CT. He attended the New York University, where he received his medical degree. He completed his residencies in internal medicine and general surgery at the State University of New York, Downstate Medical Center. Dr. Wong is certified by the American Board of Internal Medicine. He is a part of Greenwich Medical Group. During his consultations, he fully explains patients’ conditions and helps them choose an appropriate treatment plan. His approach to his patients is one of diligence, solutions, and relief. Dr Wong and his staff treated me first class. I would recommend their services above others. 1st time meeting him and it was great. Doctor is on point. Dr. Wong, is a good doctor always listens to his patients. Dr. Wong was very nice and courteous. Everyone at the office were pleasant.